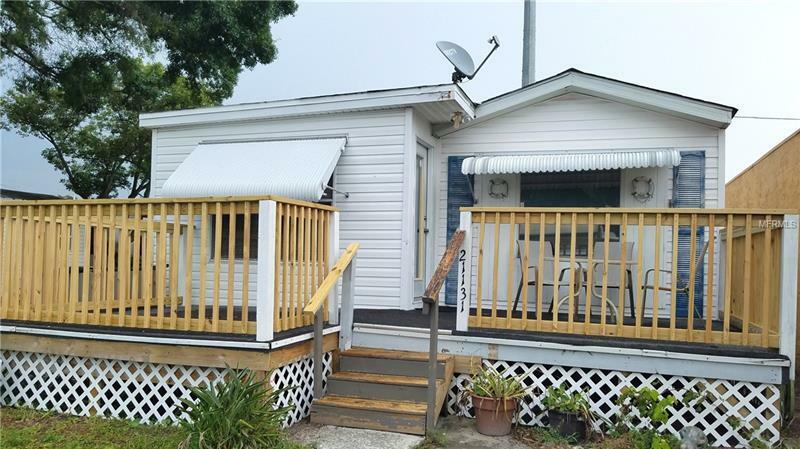 $10000 PRICE REDUCTION FOR THIS LOCK 'N GO - Cute Furnished Park Model is located away from the clubhouse but close enough to walk to within minutes. Great for 1 or 2 occupants. Could be a super rental or live in or a seasonal hide away! Needs a little TLC or updating. The front porch has 2 measurements approximately 9 x 15 and 5 x 6 with a new railing and skirting. The nice large open back porch has a great storage cabinet/shed. The low monthly maintenance fee of only $35.00 makes a low cost living. Water/sewer and trash separate. Condo approval required with fee. Separate membership to Paradise Lakes Resort Club is required to use the amenities. Come take a peek. All measurements are approximate and should be verified. MAKE AN OFFER THE OWNER CAN'T RESIST!